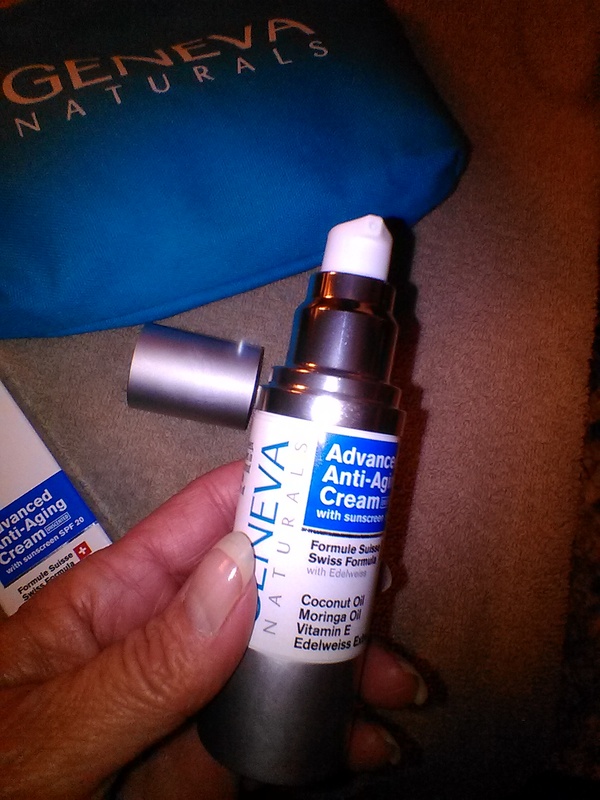 Is your skin dry and starting to show fine lines and wrinkles? Mine is too, and as most of my readers know I'm fighting this aging thing every step of the way trying skin product after skin product to let each of you know what works well and what doesn't. I have a really good product that I'd like to tell you about. I've been using it for a few days now and can already feel a difference in the condition of my skin, as well as see a difference. 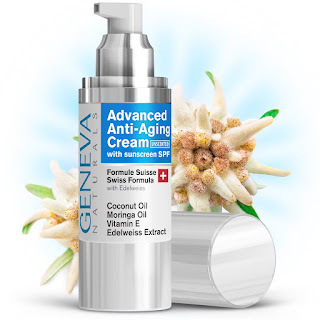 The name of this product is Advanced Anti-Aging Facial Moisturizer with SFP (unscented) by Geneva Naturals. the first time i used it, I applied it to my face right after I washed it. It felt smooth and silky on my skin, and it absorbed quickly. It feels weightless on my skin, not heavy like some moisturizers feel. Plus it feels good knowing that I'm protecting myself from harmful UV rays, this moisturizer contains SPF 20. 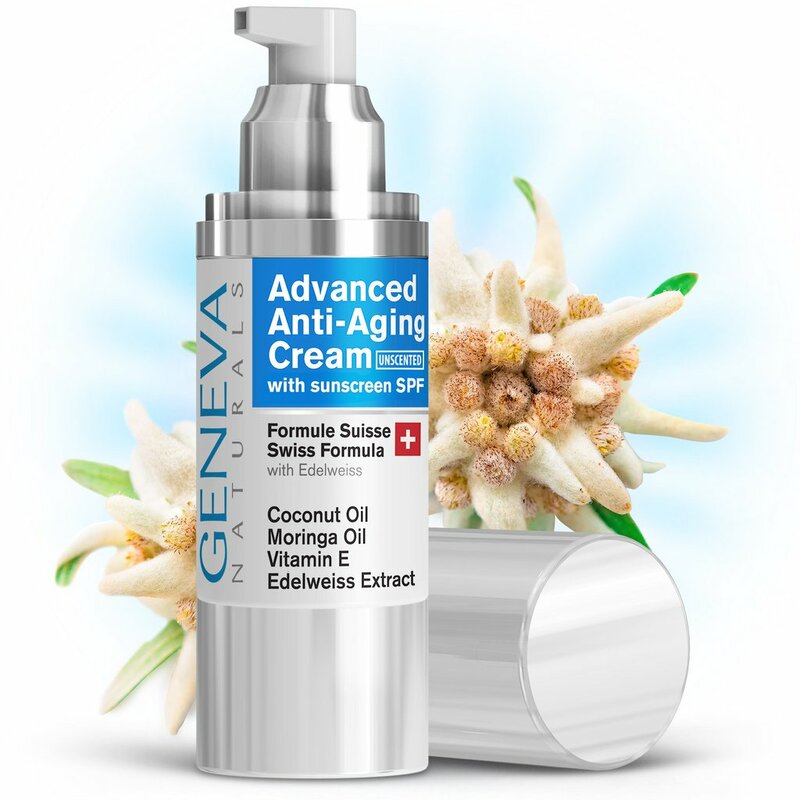 Advanced Anti-Aging Facial Moisturizer contains Edelweiss, a special anti-aging plant that grows in the Swiss Alps, Hyaluronic Acid ,Coconut Oil , Moringa Oil , and Vitamin E. This day cream is specifically formulated to restore firmness and provide everyday protection from the sun for more youthful and vibrant skin. I have to say in just the few days I've been using this product my skin is softer and smoother, and feels and looks firmer and has a nice healthy glow. I really think with extended use I will see even more improvement. This product isn't just for women, men can benefit just as much. I really recommend this facial moisturizer. If you would like to join me in the battle against aging , you can enter the code TOM5 at checkout and receive $5 off your order.